Nokia and SFR have successfully completed a 5G call using the 3GPP-compliant 5G New Radio (NR) system over-the-air on the 3.5 GHz frequency band. The test took place on May 3rd, 2018, at the Nokia 5G Test Network and Competence Center in Paris-Saclay, France. The 5G call used Nokia 5G NR technology, incorporating the Nokia 5G-ready AirScale radio platform and Cloud RAN technology together with 3GPP-compliant end user test devices. A cloud infrastructure based on the Nokia AirFrame Datacenter solution was built to support Cloud RAN. The 5G New Radio NR standard, agreed by the 3GPP in December of 2017, is designed to support a wide variety of 5G applications and enhanced mobile broadband (eMBB) services. Nokia 5G NR systems use smart antennas to deliver multi-gigabit throughput speeds and millisecond low-latency. 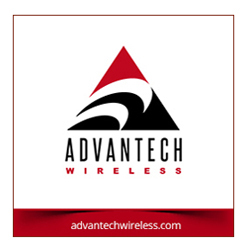 This will enable operators such as SFR to increase network capacity in spectrum below 6GHz frequency bands to deliver wide-area coverage. 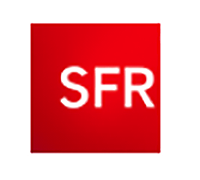 François Vincent, head of Mobile Network at SFR, said that the company is developing a roadmap for the evolution of its networks that takes into account the benefits and complexity of implementing 5G. The joint projects and trials will enable the firm to meet future data demand in the most effective way, while exploring new ways to deliver media content that will increase the subscriber experience. Marc Rouanne, president of Mobile Networks at Nokia, said that the company is pleased to support SFR in accelerating its implementation of 5G and developing new business models that will enrich the user experience. By testing 5G technologies now, Nokia can place SFR ahead of the needs of its data-hungry customers while preparing the operator for the launch of next-generation services.